Jasmine Kenny, Managing Director of Rental Place exhibits energy, enthusiasm and motivation levels that would exhaust many business people. A self-described 'real estate nerd', Jasmine's hunger for information about the property market parallels others' passions for cooking, celebrities or adventure sports. "Real estate is my adrenalin rush," Jasmine effuses. "I've always been a keen follower of the market so by the time I identify an opportunity, I already have all my ducks in a row. That way, I can make an informed decision while others are still doing their homework." Jasmine's own property portfolio is as much a hobby as a financial investment in her future. As an owner of multiple rental properties, she is well versed in the challenges that go along with being a landlord. Fortunately, having spent nearly ten years in the real estate industry, first as a highly successful sales agent and then as a property manager, Jasmine has become adept at avoiding the pitfalls. 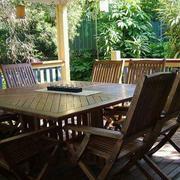 Now, at the helm of her own Brisbane property management firm, she can impart her considered expertise to clients. Rental Place landlords are typically those looking for a solution that will enable them to benefit from their investment properties without facing the trials and tribulations that go along with them. Read more about Rental Place's Maximum Care Factor policy here. From her teenage years, Jasmine has worked in sales and customer service. She has always thrived on the satisfaction she derived from achieving targets and delivering a memorable customer experience. Jasmine obtained her real estate license in 2003 and then embarked on a Bachelor of Commerce majoring in Finance at University of Queensland. Embracing the entrepreneurial spirit early on, Jasmine ran her own small business to finance her studies. Fast forward to 2010 when she moved from real estate sales to rental property management, and the urge to establish her own business again would not be stifled. Today, Rental Place affords Jasmine the opportunity to provide a service culture unheard of in property management, something that has been foremost in her mind for many years. Determined that Rental Place should stand for excellent ethics, technological innovation and unrivalled customer service, Jasmine believes she and her team can revolutionise property management. 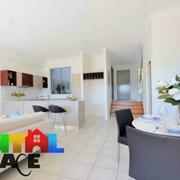 This fully furnished, immaculate two- three bedroom Inner City abode is situated walking distance to Brisbane’s best attractions, boasting the very best in modern day living. Designed for the lifestyle lover or the perfect investment solution, this flexible apartment has the added value of an additional study area that can easily be transformed into a 3rd bedroom. Bedrooms are complimented with built-in robes (walk-in in the main) and ensuite in the main also. 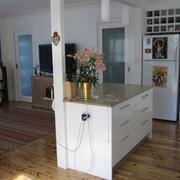 Apartment 2402 presents a modern kitchen with island bench and additional storage throughout. An apartment of this calibre has nothing left to do but enjoy and take in the City from your 24th floor balcony and entertain with friends and family. Only the finest furnishings have been added to complete this very sophisticated yet modern fully furnished apartment. Choose to relax on the wicker lounge with a book and enjoy the views from the entertaining balcony while watching the world pass by below on the river. This Gorgeous 24th Floor Apartment Features: - 2- 3 Bedroom (3rd could be used as a spare room or study) - Walk-in Wardrobe (in the main) - Built-ins (Full Length Mirror Wardrobes) - 2 Bathrooms - Fully Furnished- Stunning Furniture Complimented by a Designers Touch - Purpose built study that can be transformed to a guest room - Boutique building in prime CBD location. 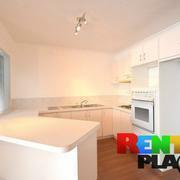 - Sky High on Level 24 - Stylish Stone Kitchen with Island Bench plus Quality Stainless Steel Appliances (e.g. Dishwasher) - Ducted Air Conditioning - Internal Laundry Facilities - Polished Timber Floors - Flat Screens TV’s (fitted to the wall in every bedroom and in the lounge) - Foxtel (some channels) - Balcony - Ground Floor Storage Facility - Security Car Space - Pool - BBQ Area - Gym - Sauna - Cinema Room - Conveniently located in the heart of Brisbane’s CBD, Mary Street is one of the quieter city streets. Walk everywhere location, QUT, South Bank, Queen St Mall, Botanic Gardens and the newly proposed Queens Wharf development. 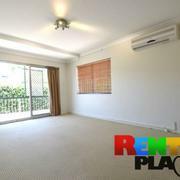 Be quick, this apartment will rent quickly, call Rental Place TODAY to secure your viewing time!! 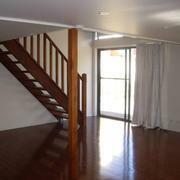 Will Go Quick- Freshly Painted, Polished Timber Floors, Balcony, Close to Transport!! This breezy property, fitted with fly/security screens will be sure to keep you cool, however plenty of windows will allow for natural light. You will be greeted on entrance, with floating timber floors throughout; a large lounge room opening up onto a well laid out kitchen. Maximise the benefits with hallway storage, recently refurbished bathroom next to the large bedroom featuring built-in wardrobes. Being close to transport, parks, walking trails and shops you will have plenty to occupy yourself with in your spare time. This Stylish Apartment Features: - 2 x Bedrooms - Built-in Wardrobes - Modern Features - Freshly Painted - 2nd Floor Unit - Bar - Balcony wrapping the front of the property - Sliding Door opening up onto the Balcony - Fly/Security Screen - Plenty of Natural Light - Good Air Flow - Polished Timber Floors - Close to Public Transport, Shops and Parks - 1 x Undercover Car Park This property will not last long Call Jasmine Kenny TODAY to secure your inspection!! 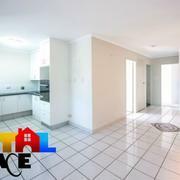 On arrival of this townhouse you will be amazed of the proximity to the CBD, park in any one of the two allocated car parks (one of which is an electric garage). 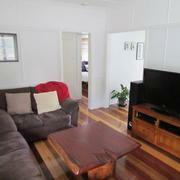 Be greeted with polished timber floors and a breezy townhouse with plenty of natural light. A sliding door opens up onto a patio/deck with a grass section, easy maintenance and perfect for a small animal. The dividing staircase will certainly help matters; this separates the sleeping and living quarters and allows everyone that much deserving space. With two bathrooms (one of which is an en-suite), tension over who’s next in the bathroom with definitely not be a problem. This Amazing Townhouse Features: - 3 Bedrooms - Master Bedroom has Balcony - Built-ins - 2 Bathrooms - Bath - Kitchen feature bar seating/island bench - Sizeable Dining area - Separate Living room - Dishwasher - Storage - Polished Timber Floors - Quality Carpet - Fans - Air conditioning - Fly/Security Screens Throughout - Patio Deck - Low Maintenance - 2 Parking Spaces (1 Garage currently utilised as home office) - Laundry Facility separate to kitchen with indoor hanging rail - Courtyard - Secluded Garden enclosed with palm trees - Pets Ok (Cat or Possibly a Small Dog) - Small Complex of 4 Townhouses - Set back 60m from the road - Walking distance to Hawthorne, Morningside and Bulimba and in the catchment area for Norman Park state school - Bus Route 227, 230 and 235 with express service to city in peak hours - 10mins to City - 10mins to Train Put this Townhouse on your MUST SEE LIST, call Rental Place today to secure your viewing! 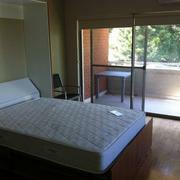 BE QUICK Air-Conditioning, Fans, New Carpet, 1st Floor Unit, Balcony + So Much More!! 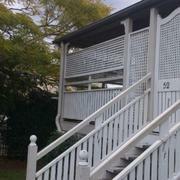 This beautifully renovated and spacious unit is located in Yeronga, in a quiet cul-de-sac. Park in the tandem garage or off street (as there is plenty of parking available). Located on the first floor, you will find this exceptional unit, open the door to the tiled living fitted with air-conditioning and a modern kitchen (with optional fridge). The bedrooms all feature new carpet, built ins with the addition of main with an en-suite. This Renovated Unit Features: - 3 Bedrooms - Built-ins - 2 Bathrooms (one of which is an en-suite) - Bath - Air-Conditioning (Living) - Fans - Modern Kitchen (Fridge optional) - Tiled Living - New Carpet in Bedrooms - 1st Floor Unit - Balcony - Flyscreens - Tandem Garage - Plenty of Off- Street Parking - Located in a Quiet Cul-de-sac. 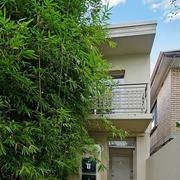 - Close to both Yeronga and Yeerongpilly Stations (both a 5-minute walk) and within a short walk to shops and park. 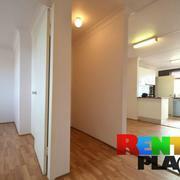 Get in Quick, this unit won’t last long Call Rental Place TODAY to secure your inspection! "Rental Place works because: they're focused, relentless and forensic. Nothing is left to chance. Communication is personal - and regular. I'm relieved my 3 properties are with them." "Jasmine, settlement crept up on me very quickly and I never got the opportunity to express my sincere gratitude for the excellent management of my property over the past 12 months. 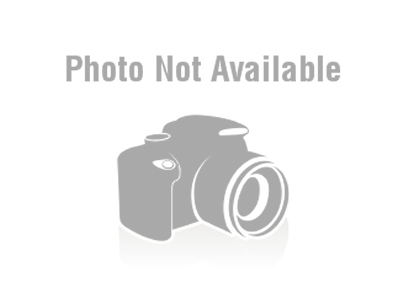 You were always so great to deal with, and thank you for being so helpful throughout the sale process." "After meeting with a few different property management agents I was impressed with Jasmins professional and courteous attitude. Jasmins local and industry knowledge was evident with the rapid results in finding new [and quality] tenants for my property. An added bonus was my emails and phone call were replied to promptly which we all know is a rare trait in this industry and I was kept up to speed with any progress. Any potential Landlords, who are seeking an honest, diligent and professional property manager, I recommend getting in touch with Jasmin"
"I wish to thank you for your friendly and helpful service. I will contact you again if something changes. I will recommend your services to all I know.